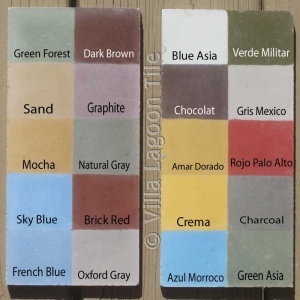 The standard cement tile color chips for the Monterey Collection are $40.00 plus shipping. They come in a nice box for your design library. This palette is also used for our Jeff Shelton Series and Exclusive Stu Neyland Series. 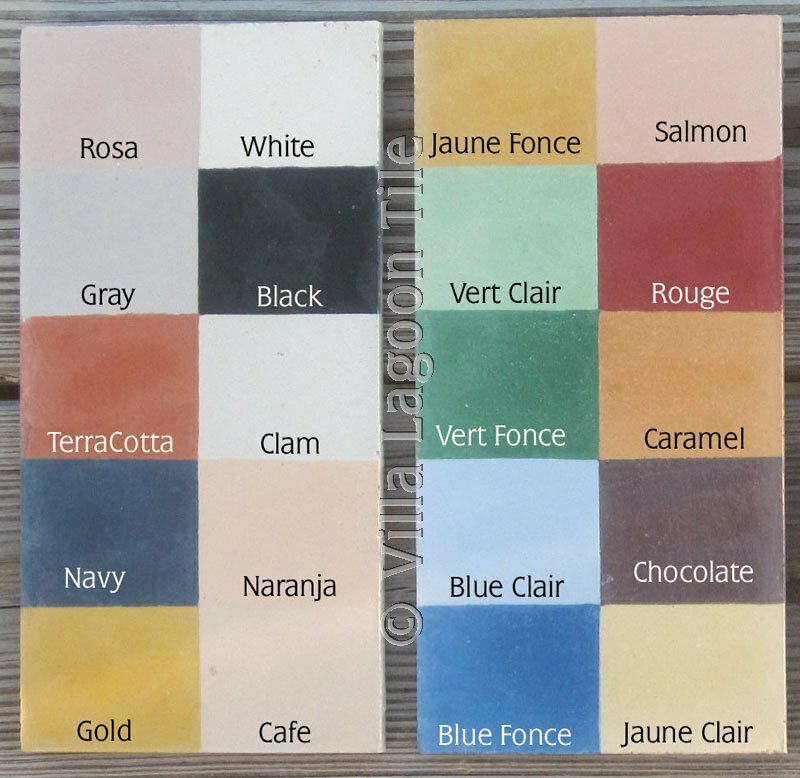 We can also mix custom colors in most cases for about $50 extra if you send us a color sample. It just takes a little more time. 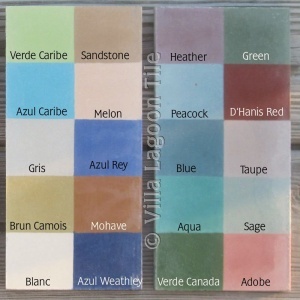 Single-color cement tiles ordered in the marked blue and green colors will have a 20% upcharge. We hope these colors look accurate on your montior, but every computer system varies. 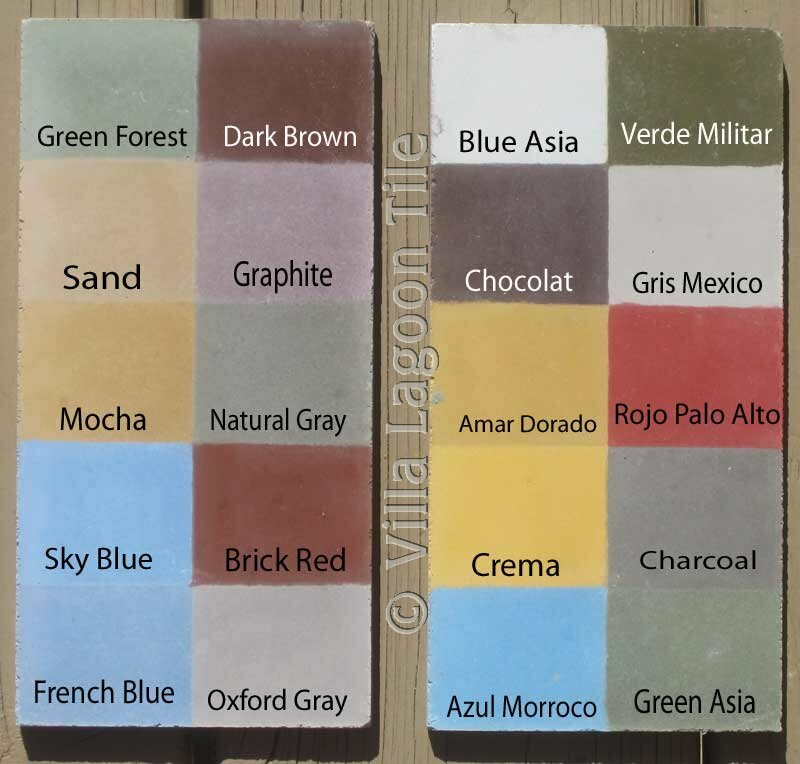 Also cement tile colors will vary a little from batch to batch and even tile to tile as is the nature of the hand made product. 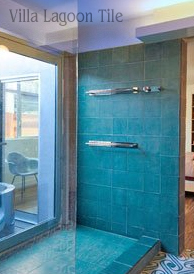 We have some great images of solid color tile installations that are a great illustration of this variability. Order a set of color chip tiles from us...$40 plus postage cost of color tiles can be deducted from tile order. 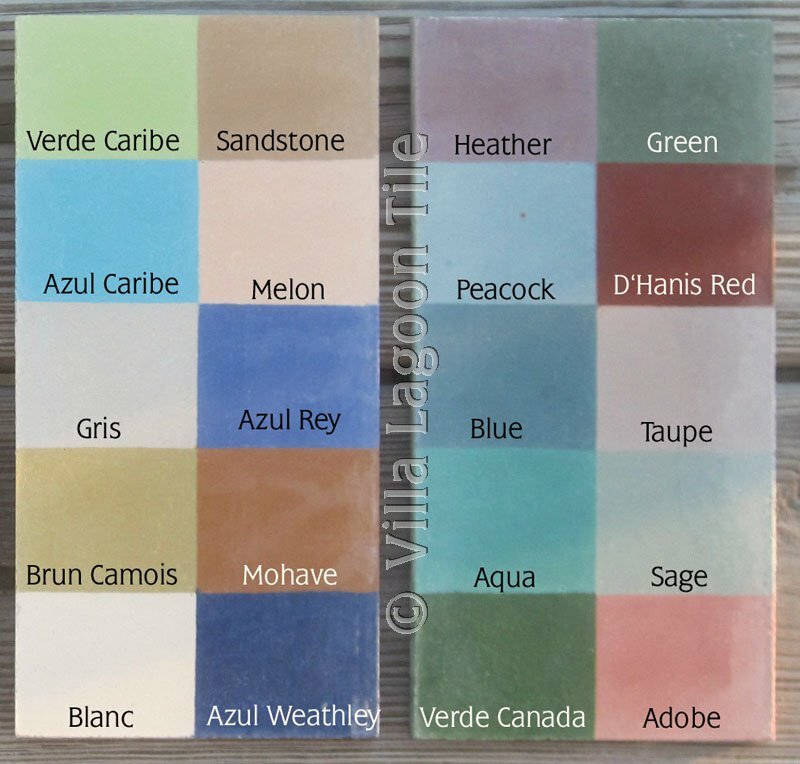 Note: Our chipset currently only includes the 60 standard Monterey colors, but not our exclusive Villa Lagoon Tile colors Olive, Uva, or Laguna. 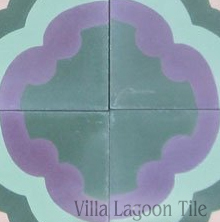 In addition we have a bright purple, "Uva", and a rich aqua "Laguna" which are not included in the Tile Design Tool. Just mention them by name when you order.